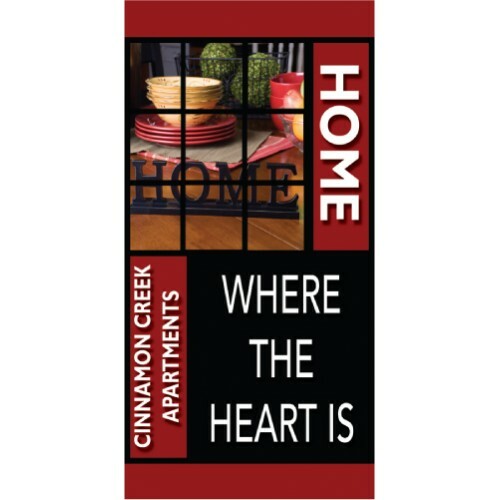 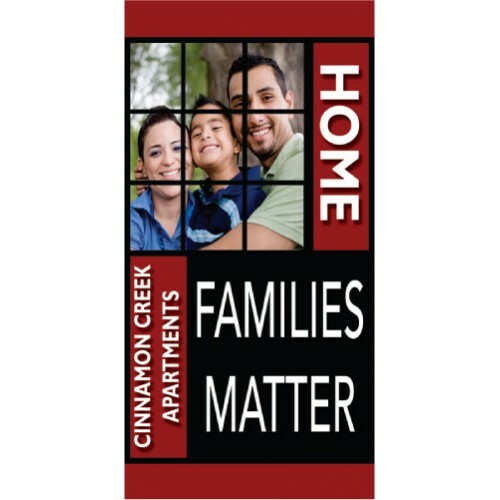 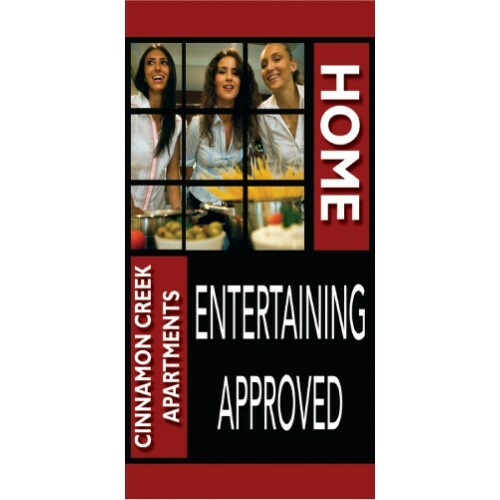 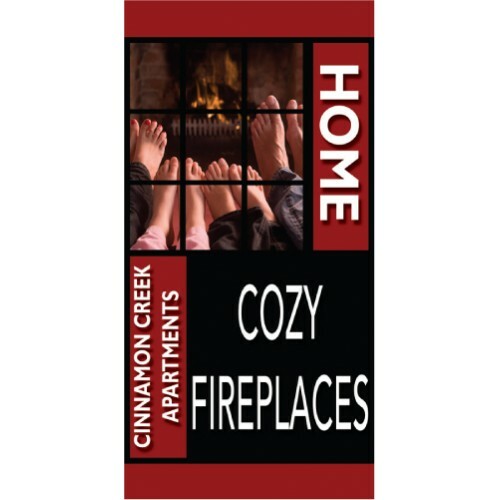 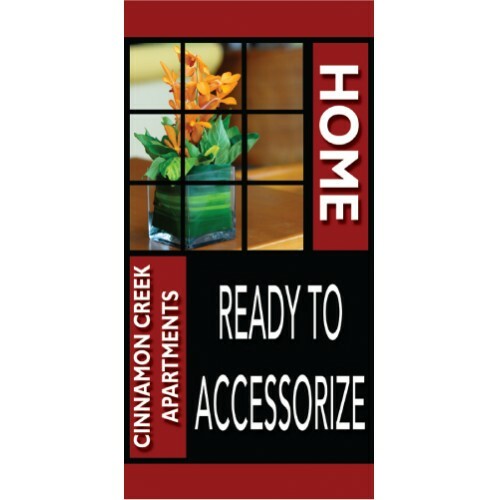 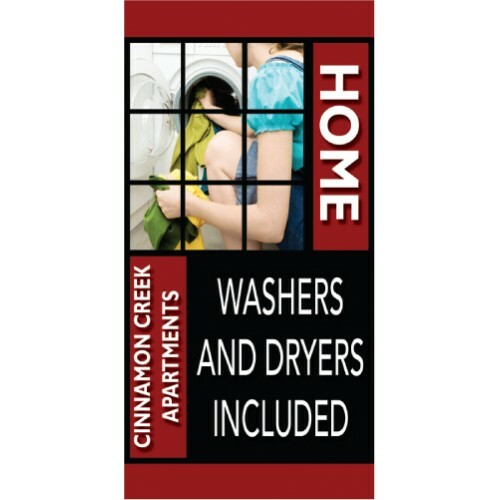 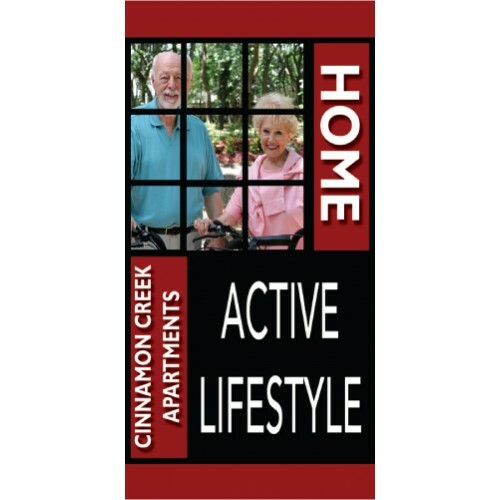 Our new and visually bold HomeLife Boulevard Banner collection is ideal for showing off your amenities. 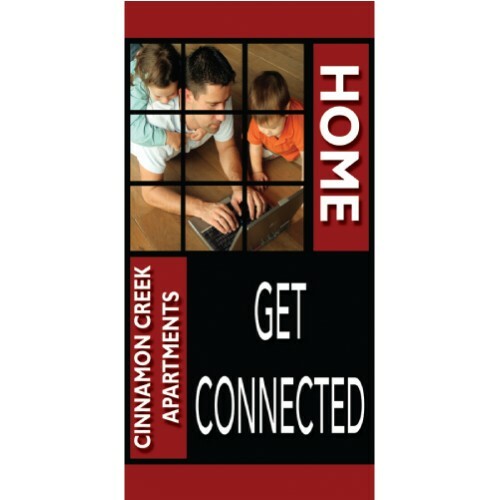 We have created banners with todays amenities to get you the traffic you deserve. 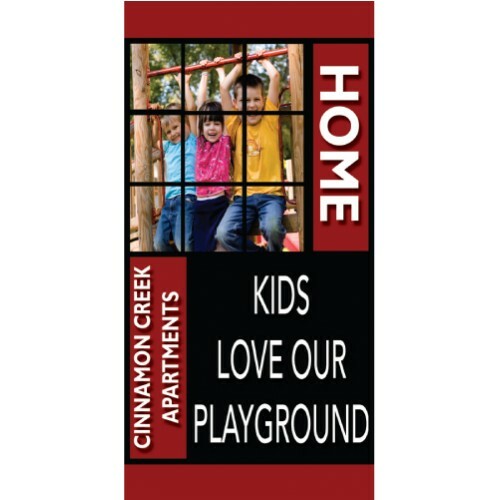 Attach to your fence line or on your existing poles. 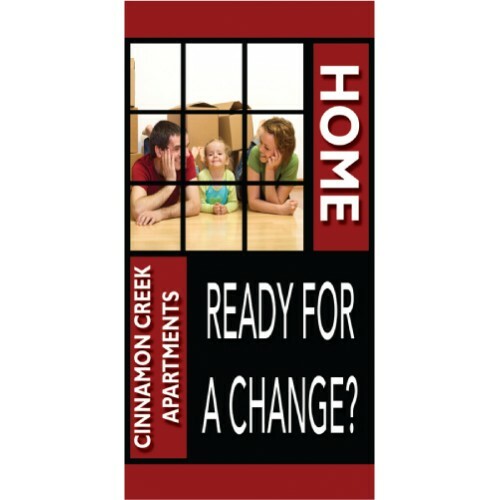 Choose our designs or create your own custom boulevard banner. 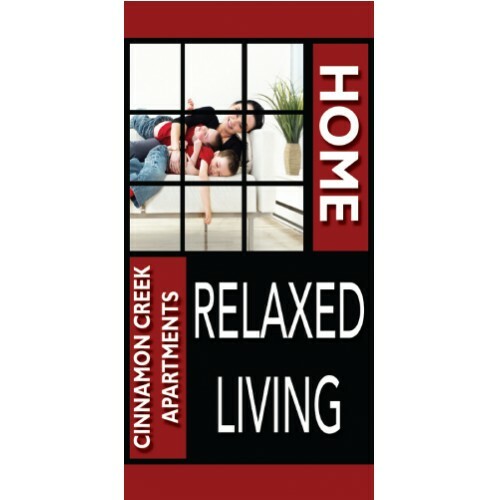 The HomeLife collectionion is available in the standard 2 1/2' x 5' size and smaller 18" x 36" size. 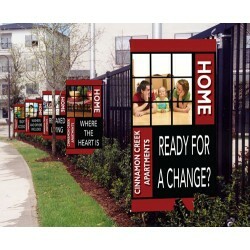 The HomeLife boulevard banners are digital print on vinyl. 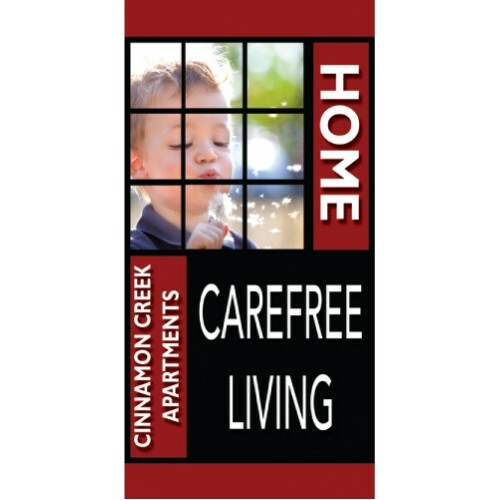 You can change the message if you w..
Get the exact HomeLife banner you want. 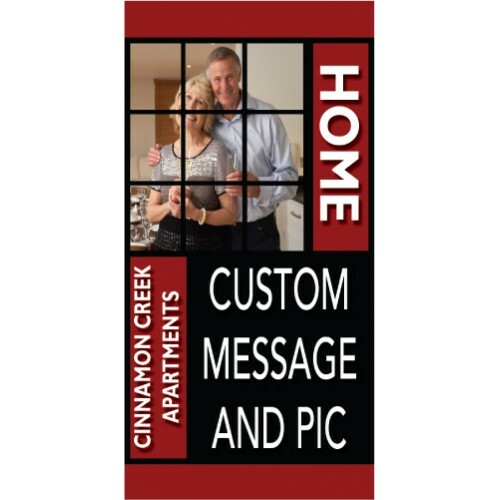 Choose any of the pictures and add your custom message..